Speranza Theatre Support and Blog Promo Opportunity! Happy Friday! I have a very special theatre company to tell you about, one that I have worked with for the past year and a half and cannot recommend enough. 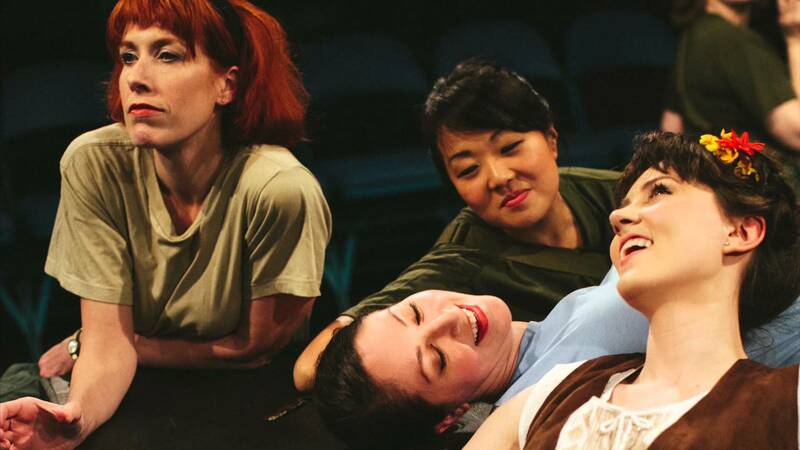 Speranza Theatre Company in Jersey City is a rapidly growing professional theatre group that promotes the works of female playwrights, plays supporting women’s issues, and projects with strong female characters. It is also a huge part of Jersey City’s expanding arts scene. This past year, we received our first grant, which is amazing in itself. In addition, the grant will match any donations made within our current campaign. This November 5th, we open Janey Miller’s World Tour, a new hilarious romantic comedy by John Cassel. Also, we will soon be announcing an amazing project currently in development to support Women Rising, a domestic abuse shelter in Jersey City. I’ve found that the Wordpress world is a rare supportive online community that I cherish not only for the writing support it has provided to me over the past five years, but also for the constant talent I come across in all of your blogs. And so, I reach out with another great care of mine in case you are in the position to either help us reach our financial goal, or to spread the world of our exciting company and campaign. To celebrate any support you are willing to provide, I am happy to promote your writing in an upcoming “thank you” post! Though I am always excited to promote wonderful writers I come across, and hope to make it more of a regular practice, this is another wonderful excuse to do so. Please feel free to message me through my contact page for any questions about the company, campaign, or how to get involved if you are an actor/playwright/general theatre lover. Thank you so much for reading and have a fabulous weekend! Click here to support or share Speranza Theatre Company’s Fall Fundraiser! This entry was posted in Life and tagged Acting, arts, blog, Fundraising, Theatre, women, writing. Bookmark the permalink.